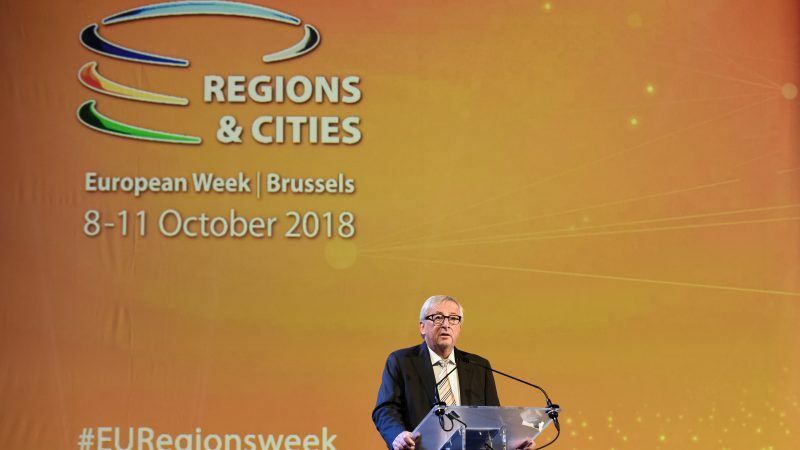 European Commission President Jean-Claude Juncker called on Europe to “stand up” to the far-right during a speech at the opening session of the European Week of Regions and Cities on Monday (8 September). The rise of nationalism, populism and far-right movements is likely to shape the EU’s agenda ahead of the European elections in May 2019 and might affect budget negotiations for the next seven years. 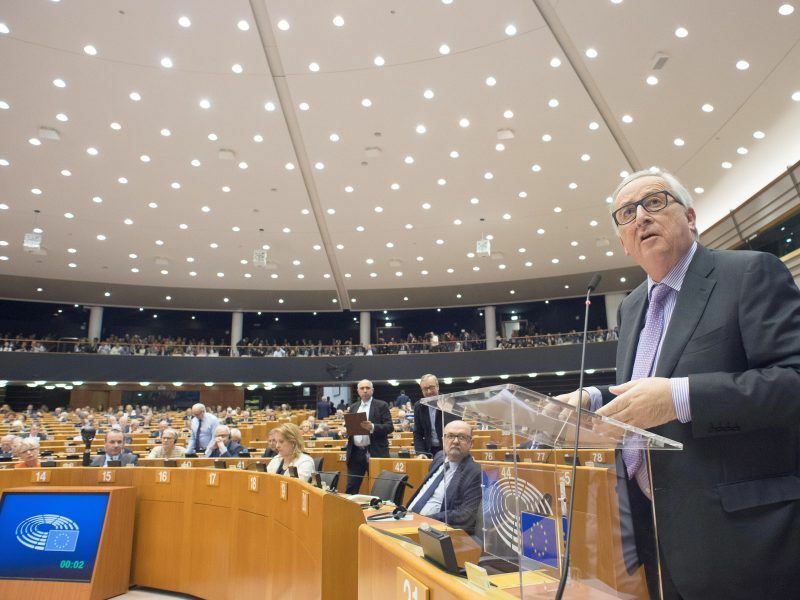 Juncker insisted in front of hundreds of regional and local representatives gathered in Brussels on the need to distinguish between “those Eurosceptics who have questions to ask and opinions to make and the stupid populists”. “In Europe, there is an increasing number of Eurosceptics and they tend to be promoting Eurosceptical opinions. We should talk to them,” Juncker said. “We cannot build Europe against the nations and the regions,” he insisted. How did EU-founding member Italy go Eurosceptic? 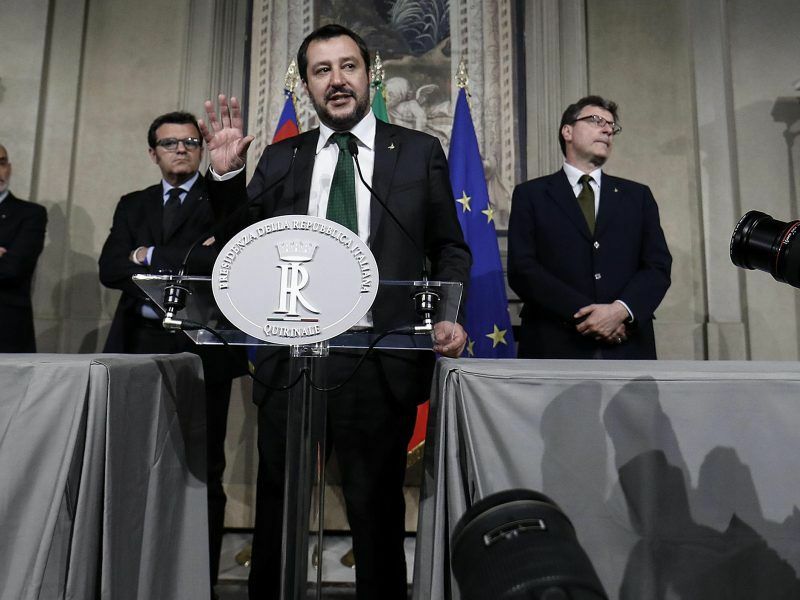 All eyes are on Italy as the far-right League and rebellious Five Star Movement close in on power, ringing alarm bells in Brussels as the country inches towards becoming the first EU founding member to have a euro-sceptic government. “Europe is not just Brussels and Strasbourg but every city and region,” he added. Juncker stressed that some problems in Europe, such as climate change, are not limited by borders and member states on their own cannot tackle them. Here, the EU executive chief stressed, cities and regions are key. “Without cooperation and cohesion nothing will be possible in Europe,” he warned. “Cities and regions are the most important partners that we have,” added Commissioner for Regional Policy Corina Crețu. “Cohesion policy is much more than investment, cohesion policy is solidarity,” she insisted. Last year, the Commission set up a task-force to make recommendations on how to better apply the principle of subsidiarity, to identify policy areas where the EU could return powers back to member states and find ways to better involve regional and local authorities in policy making. Some member states, including current holder of the rotating presidency of the EU Austria have been particularly demanding in these areas. Juncker said that by November this year, the Commission could have some actual results to share. Some member states do not have the means for certain actions, the president of the Commission recalled. He pointed to Galileo, negotiations with African partners to reduce migration flows or fight against climate change as example of the need for European action. Over the next few months, the Commission, the Parliament and the Council will negotiate a new long-term budget for the EU. Severe cuts of up to 10% are expected in Cohesion Policy. Jean-Claude Juncker agreed with regional representatives who consider the cuts as a threat to the very existence of the policy. But he argued it was the only way to ensure funds for the new priorities demanded by member states such as security or migration. 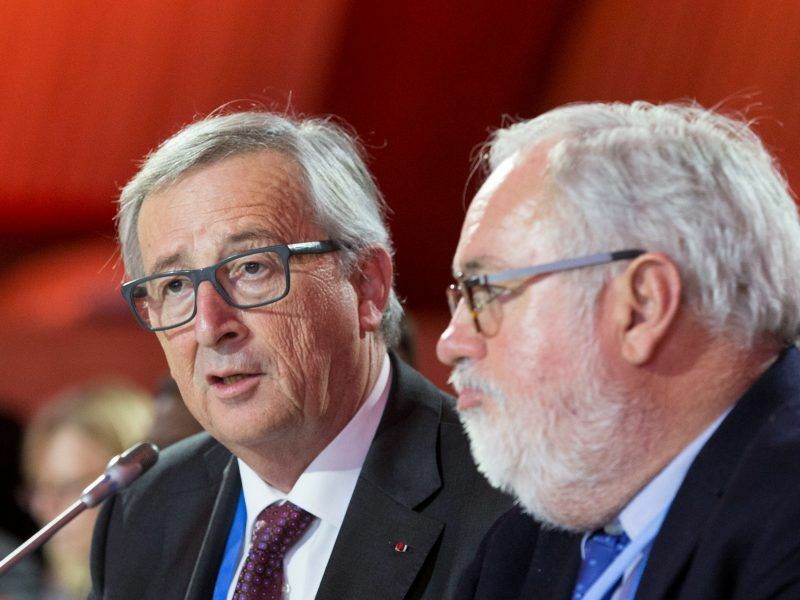 “Either we do not include in the budget the new policies or we share between all the needs and therefore we are going to have to make cuts for the new priorities we need to include,” Juncker told the audience. Nevertheless, the president insisted that cohesion remains a priority for the Commission. “The Cohesion Policy is not a policy of the past, it is a real policy of the future,” Karl-Heinz Lambertz, president of the European Committee of the Regions, underlined. Juncker, as his Budget Commissioner Günther Oettinger repeatedly said, wants to close an agreement on the new budget ahead of the European elections in May 2019. “We should ask not what Europe can do for us, but what we can do for Europe,” the president of the Committee of the Regions stressed, paraphrasing John F. Kennedy. The announcement of the European Commission’s new long-term budget proposal contained a rather bad surprise for the stakeholders of Cohesion Policy. The EU’s second largest policy in terms of budget is the big loser of the Commission’s proposal, with a planned 7% cut and a total budget of €442.412 billion. That’s funny, the largest crook in the world, Juncker, said that others leaders are stupid. Somewhere he is right, only stupid honest citizens cannot build state scams for 300 billion €. This is pretty strange because the Commission is paying BILLIONS of Euros to GONGOs to spread hatred and misinformation about it. Pretty smart also if you think. Billions go to GONGOs which keep Member States divided and instill left populism (of course only an idiot would fail to see that left and right are the same in their negative/anti EU rhetoric). In addition more billions for the hungry GONGOs are in the pipeline…. I honestly don’t see how a European Day as described would do a damned thing to improve peoples’ sense of being European (whatever that means) and you’ll need more than subtle messages to spell out the so-called European successes are. You’ll need to spell them out in words of one syllable as I do not have the faintest idea of what those successes are – and please don’t spout on about free movement and so on – how many can or want to work abroad, impact on tourism is negligible, no tax free tariffs as each country has to pay billions for access to single market (what other trade treaty does that), NATO/America keeps the peace, not the EU and on and on and on…….